Brendan is a biomechanist specializing in biomechanics (the study of the forces and mechanics associated with injuries to the human body), human factors and accident reconstruction, as they relate to injuries resulting from collisions or any other impact-producing event. 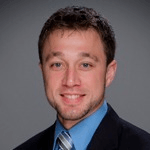 While at the University of Rochester, Brendan was particularly involved in research programs related to knee injuries and prosthetic devices, as well as hip biomechanics. And while attending Kettering University, Mr. Morse participated in the non-destructive crash test lab, testing child seat restraint applications at varying impact speeds. He is an accredited Traffic Accident Reconstructionist by the Accreditation Commission for Traffic Accident Reconstruction (ACTAR) and an Associate Human Factors Professional, BCPE. At ARCCA, Brendan has also been a member of the team working with the National Hockey League to research, develop and test designs to improve player safety. To learn more about Brendan or to contact him, click here.